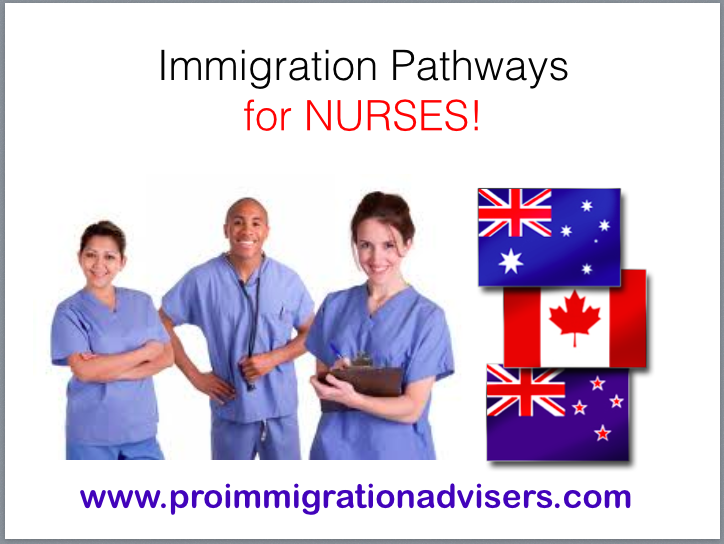 Immigration Pathways for Nurses - Gateway to Canada | Canada Immigration Consultancy! Under the Express Entry System, you may be included in the Express Entry Pool but your chances of receiving an Invitation to Apply is slim if you don't have a job offer, Canadian Education, 6 years experience and maximum IELTS Exam Results. What are your options then as a Registered Nurse? First, you need to understand that Immigration is not a simple process. It is not something like you wake up one morning and decided you want it and leave the following day. It takes a lot of planning and preparation. The first thing you need to do is to get ready! As a Registered Nurse, you have a good chance of living and working in Canada, Australia or New Zealand. You just need to make a timely decision and make a commitment to your decision. Let us help you get ready. Avail of our Start Up Program. If you are ready with your documents, you will be able to immediately file your application for Quebec Skilled Workers Program, where Nurses are a priority. Quebec recently made an announcement making the selection criteria making it more efficient. If you haven't done yet, take our FREE Online Assessment or visit our office for one-on-one orientation. For us to serve you better, please set an appointment before visiting our office.